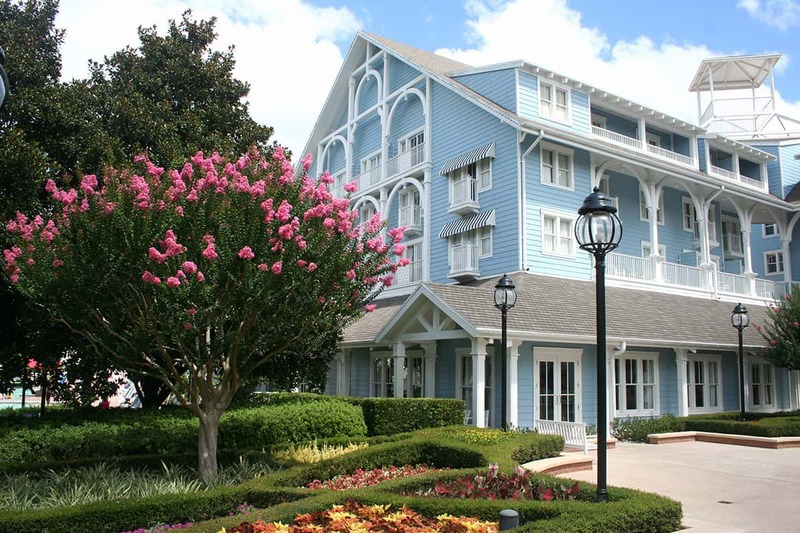 Disney’s Beach Club and Yacht Club resorts are feasts for the senses with brightly colored, serene interiors and grand exteriors that remind you of New England-style oceanside retreats. 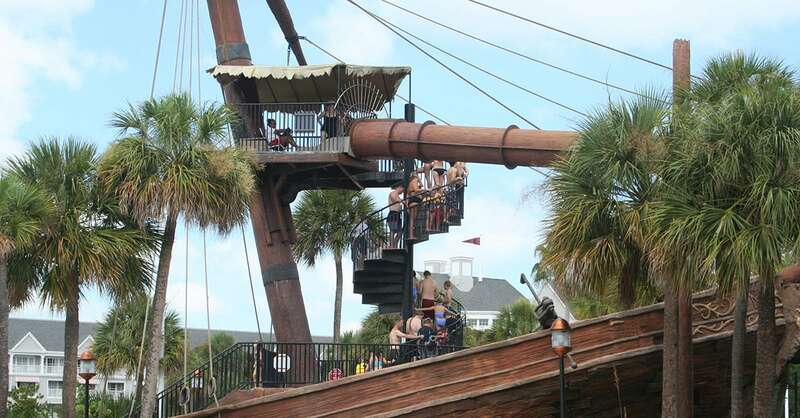 These resort neighbors share Stormalong Bay – a 3-acre water play area of with pools ringed with shady areas and an island of sand beckoning guests to take a swim, sunbathe, take a nap or make sand castles. Enjoy a meal, refreshing cocktail, beer or frozen treat from Hurricane Hanna’s Waterside Bar and Grill adjacent to the pool arera. A cleverly placed ship constructed at the edge of the pool area disguises a water slide perfect for thrill-seekers in your party. 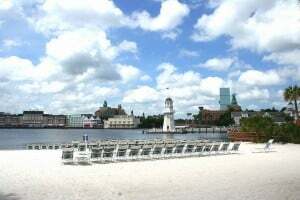 Guests relax on the sandy beach overlooking the lagoon where resort boats carry guests to the Disney boardwalk, Epcot, Hollywood Studios and Downtown Disney. Paved walkways amongst stunning landscapes make for a picturesque stroll with loved-ones. 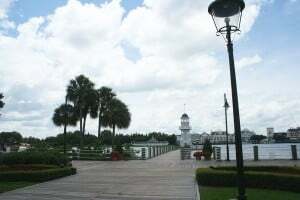 Visitors may also choose to take the 5 minute walk to Epcot or Disney Boardwalk where additional dining and shopping are available. 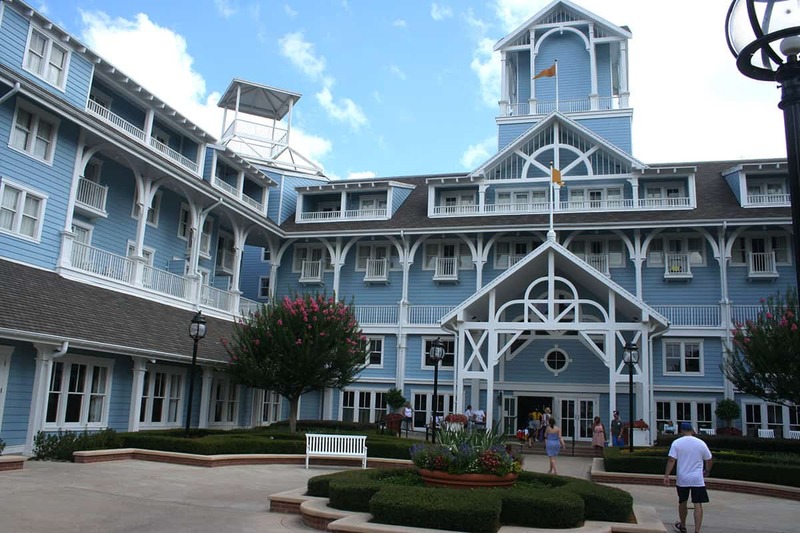 The exteriors of the Beach Club Resort feature ocean blues with crisp white trim. 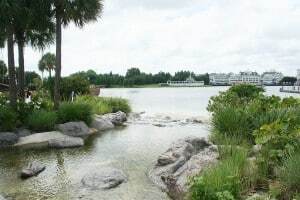 Sparkling water features with fountains relax guests upon approaching the main entrance. 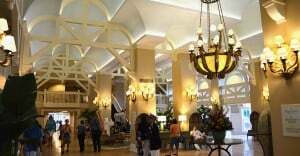 The lobby offers warm, sandy colors, rich wood paneling and trim in addition to lamps and other decorations reminiscent of the beach including a glorious chandelier ringed with giant seahorses. 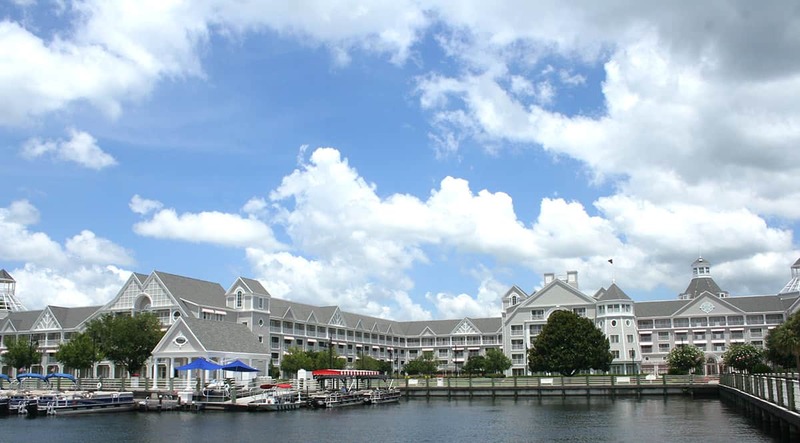 The more formal Yacht Club is equally inviting with gleaming wood surfaces and nautical decor including model ships encased in glass. 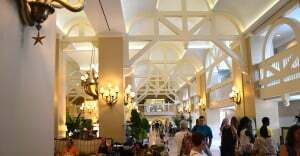 A huge globe almost 4 feet in diameter set in a marble-topped round table serves as a delightful focal point in the lobby. 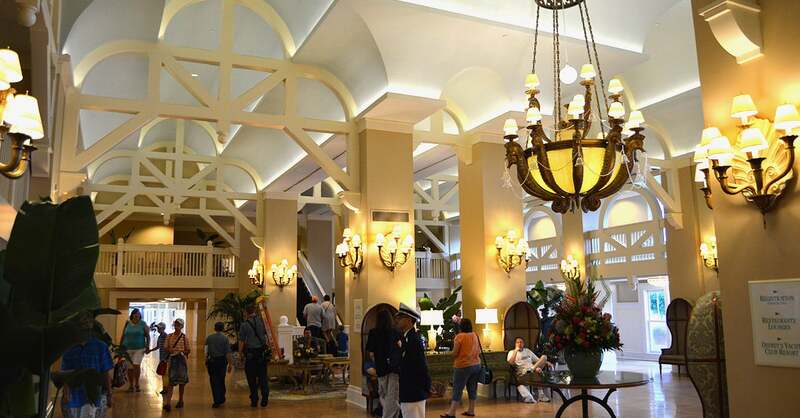 In famous Disney style, Cast Members are available to assist you in checking into the hotel or directing you to restaurants – my favorite was a distinguished gentlemen dressed in nautical garb topped with a white captain’s hat. 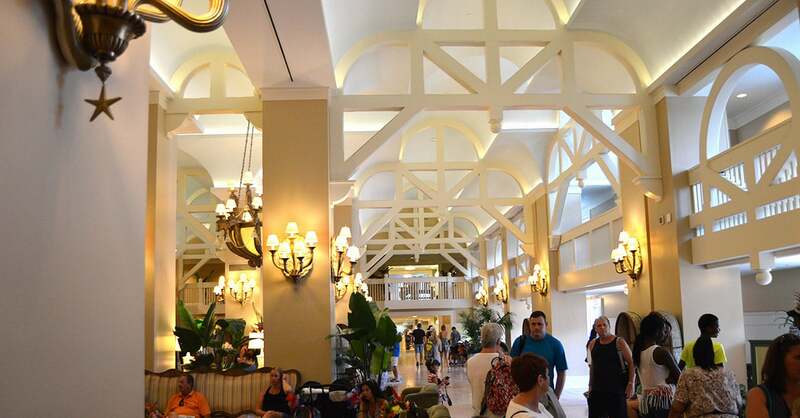 Fresh flowers in vases across the lobby add to the ambiance of both resorts. Guest rooms at the Yacht Club are reminiscent of luxury, ship-board accommodations with crisp white linens and navy blue accents. Bathrooms feature marble-topped lavatories and high-end fixtures. All guest rooms include private balconies with gorgeous views of the pool, garden or lagoon. 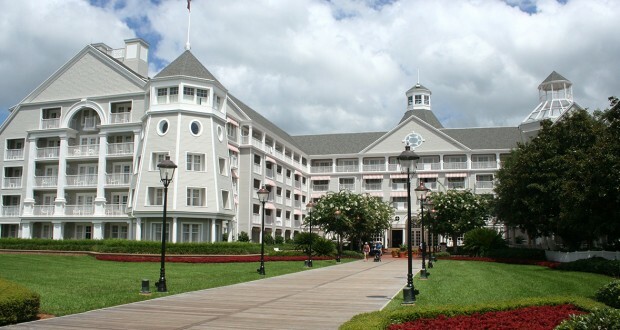 Richly colored drapes, wooden accents and a hidden Mickey or two are additional features you’ll enjoy. Balconies are also available for select guest rooms at the Beach Club resort with standard, garden and water views. Highly polished wooden headboards, bright white linens and sandy colored walls provide a welcome retreat for guests. 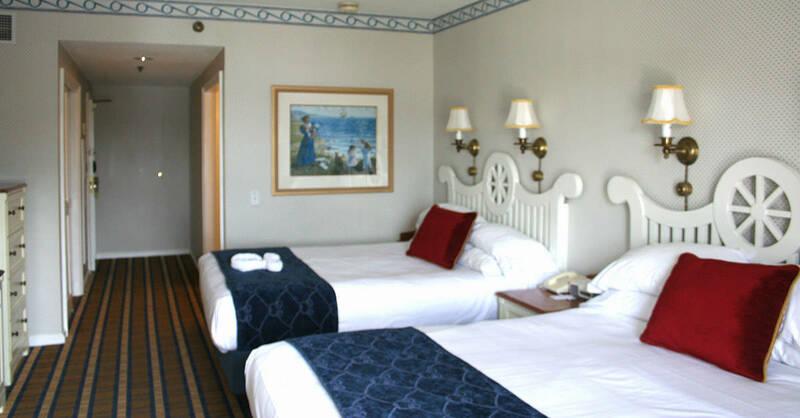 Victorian-era seaside paintings and added seating for relaxing add to the rooms comfort. One of my favorite decorations was a miniature life-guard stand topped by Mickey atop the desk. High-end fixtures and marble topped vanities in the lavatory add to the luxury accommodations. Both resorts include on-site dining, health clubs, shopping, and a supervised children’s activity center where kids can make new friends while parents enjoy an evening to themselves. 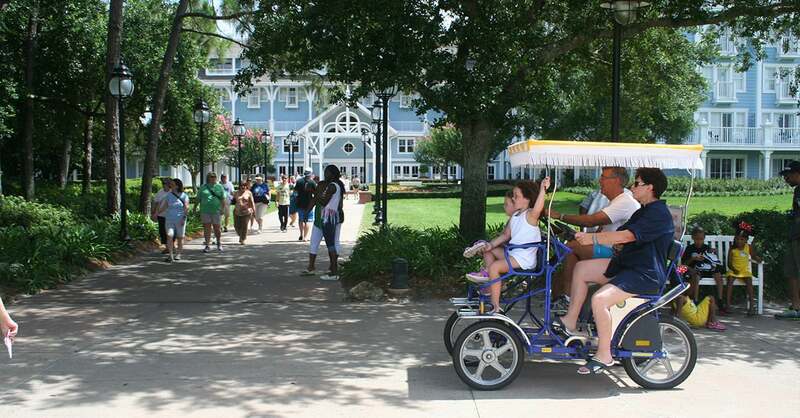 Cast members at both resorts provide exceptional service as we have come to expect at all Disney properties. 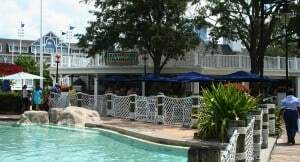 Character dining is available at the Beach Club’s Cape May Cafe for breakfast. Reservations recommended. 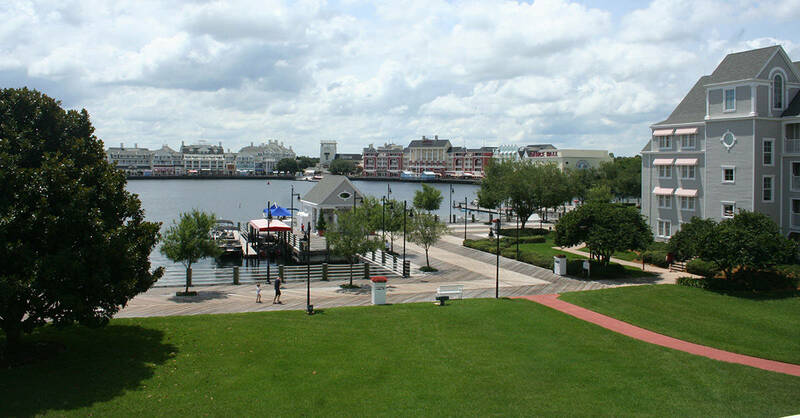 For a sophisticated dining experience, we recommend the Yachtsman Steakhouse for mouthwatering steaks and seafood the whole family will enjoy! 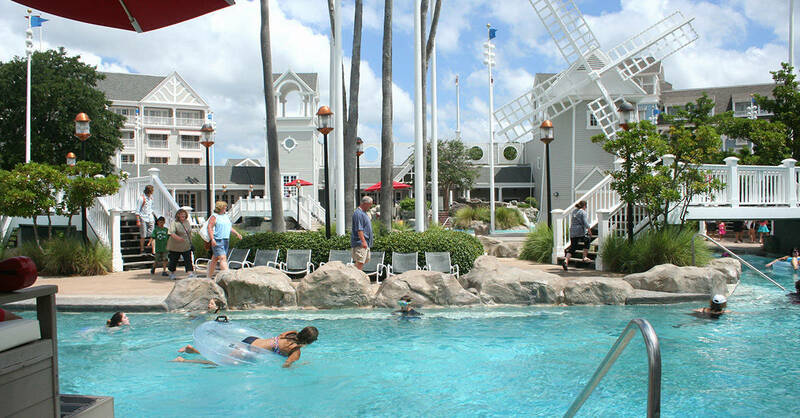 Vacationing at the Yacht Club and adjacent Beach Club resorts benefits guests because you’re able to enjoy two resorts for the price of one. 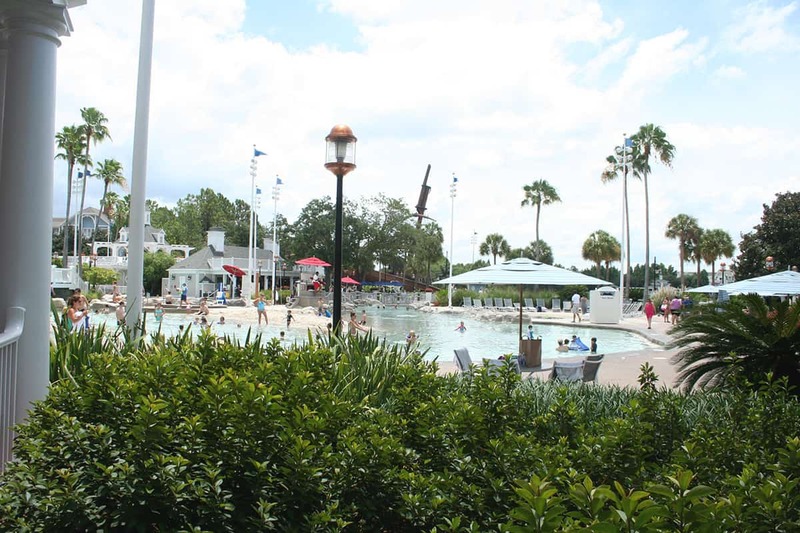 With the added dining options, shopping and outdoor activities, your family will have ample opportunities for fun and entertainment even before you step foot inside Disney parks. 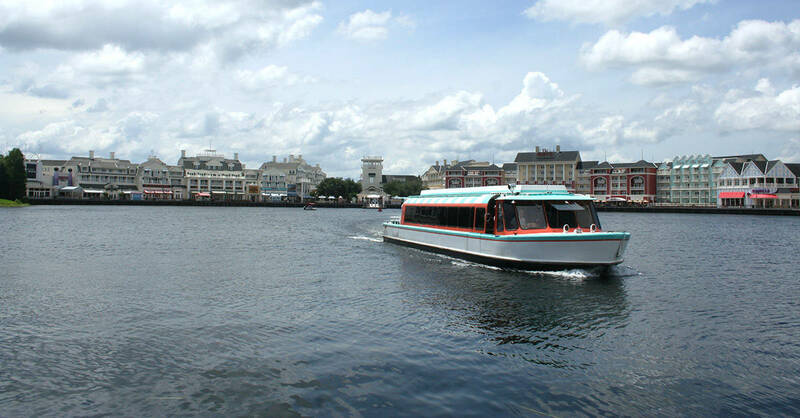 Classified as Deluxe Resorts, rooms start at $365 a night and the added benefits of easy-access to the various parks by boat make this a destination of choice if Epcot or Downtown Disney are your favorite Disney attractions. We highly recommend these delightful retreats if you can afford the luxury price tag. My family stayed off-property during our last Disney trip but planned a visit to the Yacht and Beach Club resorts enjoying a character breakfast at the Cape May Cafe. 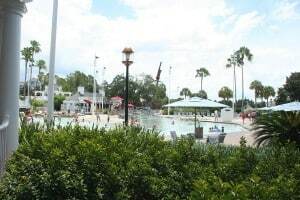 While pool access is restricted to paying guests at the resorts, there are still ample opportunities for the rest of us to enjoy at this charming resort. 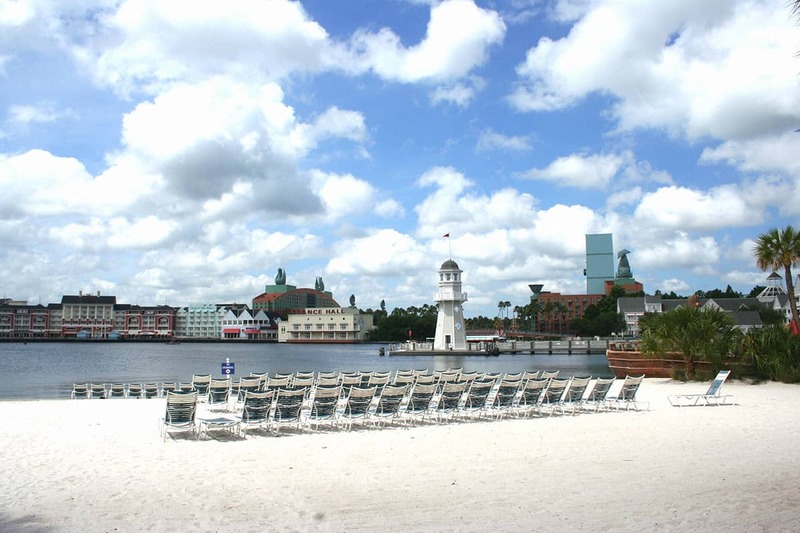 Dining, the sandy beach lagoon, boat access to Epcot, Downtown Disney and Disney’s boardwalk are available for all to enjoy.